If you're an adult who is looking to get a South Dakota driver's license, you've come to the right place. Below you will find everything you need to know about the process, including all the documentation you'll need to provide. If you need to apply for a commercial driver's license (CDL), see our Applying for a New CDL page. As part of the South Dakota residency requirements, you have 90 days to transfer your out-of-state driver's license to South Dakota once you move to the state. To apply, visit your local SD Department of Public Safety (DPS) office with your out-of-state driver's license and payment for the $28 fee. You may also need to bring additional documents proving your identity. For more information, contact the South Dakota DPS directly. While at the DPS office, you will be given a routine vision test. If you pass the test and all documents have been approved, you will be issued a South Dakota driver's license that will remain valid for 5 years. Restricted learner's permit (for teens). You may also want to visit our Special Vehicles in South Dakota page if you plan on operating non-standard vehicles, such as off-road vehicles and motorhomes. Class 1: Car, light truck, and moped. Class 2: Car, light truck, and motorcycle. Proof of your identity, date of birth, and lawful status (e.g. certified birth certificate, citizenship certificate, or valid passport). Proof of your Social Security number (e.g. Social Security card, W-2 form, or pay stub). 2 documents proving your SD residential address (e.g. utility bill, pay stub, or bank statement). Proof of your name change, if applicable. Payment for the $28 fee. A full list of accepted documents can be found on the SD DPS website. 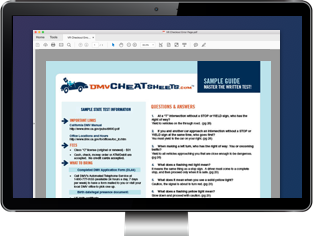 The DPS says it's a good idea to review the South Dakota Driver License Manual before you take your tests. To give yourself an even better chance of passing, we recommend using an online practice test that's offered by our approved partner. The South Dakota DPS will give you 3 attempts (within 6 months) to pass the written and driving tests for each application you make. For more information, visit the SD DPS website. NOTE: If you're an active-duty military member, visit our Drivers in the Military in South Dakota page for some additional useful information.